Habib University was the focus of a recent case study done by Microsoft aimed at highlighting HU’s innovative E-Application system powered by Microsoft’s Azure. The case study was published on Microsoft’s website as a success story under the banner, ‘Habib University: Pakistan’s newest University’s Microsoft-powered liberation’, praising the University’s commitment to ‘ensure that their students benefitted from the latest technologies’. 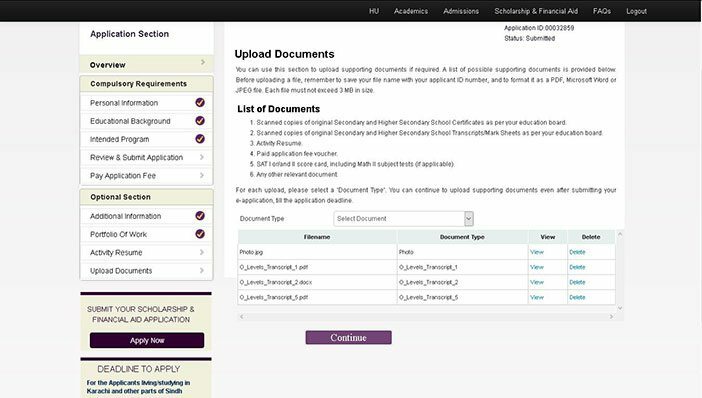 HU’s E-Application system serves as a portal for prospective students to, out of various things, upload relevant documents (biographical/academic) and store relevant information, while also be able to retrieve it anytime they want. Needless to say, this system is the backbone of HU’s technical infrastructure serving as the prime medium connecting prospective students and the University. In anticipation of HU’s exponential growth in terms of attracting students from across the country, the University needed an e-application system which was reliable, cost effective, low maintenance, and up-to-date. 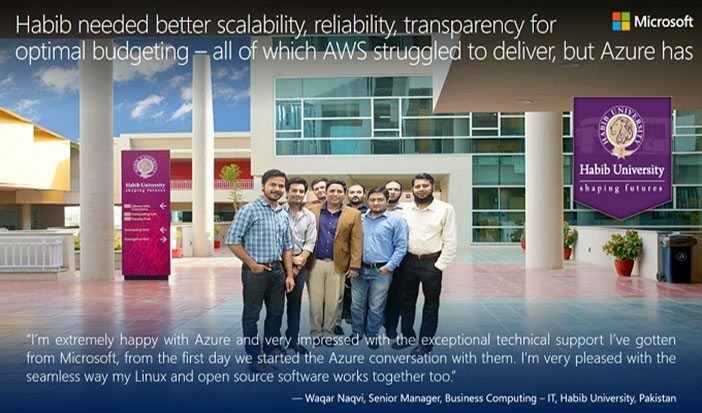 Keeping all these variables in mind, Mr. Waqar Naqvi, Senior Manager, Business Computing – IT, along with the senior management decided to move towards Azure (PaaS) from Amazon’s (IaaS). Habib University has a history of collaborating with Microsoft on various innovative initiatives ever since HU’s inception in 2014. On behalf of the Habib University community, we would like to extend our thanks and appreciation to the management and the technical staff for their foresight and to continue dedication towards achieving excellence!